Mr. Pier Carlo Padoan took up his functions as Deputy Secretary-General of the OECD on 1 June 2007. As of 1 December 2009 he was also appointed Chief Economist while retaining his role as Deputy Secretary-General. In addition to heading the Economics Department, Mr. Padoan will continue leading the Strategic Response, the Green Growth and Innovation initiatives of the Organisation and help build the necessary synergies between the work of the Economics Department and that of other Directorates. 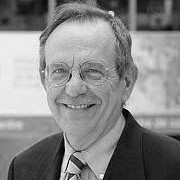 Mr. Padoan, an Italian national, who prior to joining the OECD was Professor of Economics at the University La Sapienza of Rome, and Director of the Fondazione Italianieuropei, a policy think-tank focusing on economic and social issues. From 1998 to 2001, Mr. Padoan served as Economic Adviser to the Italian Prime Ministers, Massimo DAlema and Giuliano Amato, in charge of international economic policies. He was responsible for co-ordinating the Italian position in the Agenda 2000 negotiations for the EU budget, Lisbon Agenda, European Council, bilateral meetings, and G8 Summits. Mr. Padoan has a degree in Economics from the University of Rome and has held various academic positions in Italian and foreign universities, including at the University of Rome, College of Europe (Bruges and Warsaw), Université Libre de Bruxelles, University of Urbino, Universidad de la Plata, and University of Tokyo. He has published widely in international academic journals and is the author and editor of several books. Speech from Bruegel 10th Anniversary Event, “Europe and Emerging Markets”, held in Rome on 5 May 2015.